João Lourenço has been president of Angola since September 2017. 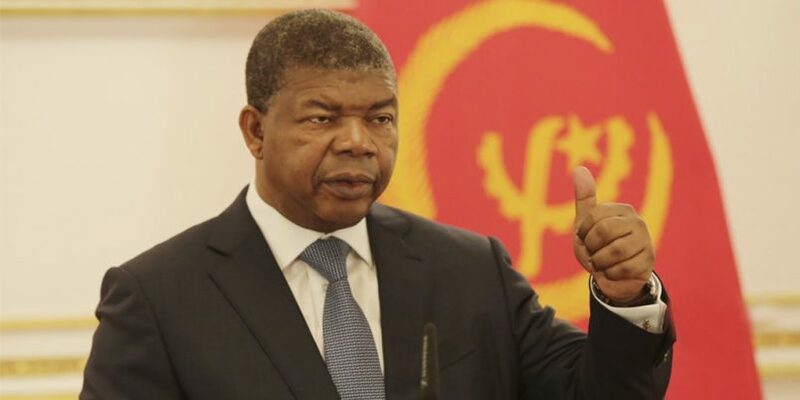 About one year later, he cemented his hold on power by taking over the chairmanship of the ruling Movimento Popular de Libertação de Angola (MPLA). Although he reshuffled the government, for instance by replacing the transport minister, and the vice-president, Manuel Vicente, most other ministerial posts had not changed from the previous administration. Lourenço inherited a dire economic situation, characterized by serious shortages of foreign currency, particularly of the U.S. dollar, and the continual devaluation of the kwanza. The currency depreciated 40 percent against the dollar in 2018; inflation has hovered around 30 percent and is set to rise. Angola’s economic troubles began in 2014 when global crude oil prices dipped and severely hampered the government’s ability to generate revenue. Angola depends on oil for 75 percent of its government revenue and 90 percent of its exports. This over-dependency on the hydrocarbon sector left the country vulnerable to economic shocks, potentially placing the country into an irrecoverable position. Diversification has long been the answer, but execution of a strategy and plan never materialized in the previous administration. Lourenço’s chief election campaign plank centered on reducing the dependency on Angola’s hydrocarbons sector and creating new revenue streams from existing resources or developing new ones. Diversification was also a key condition for the International Monetary Fund (IMF) to agree to a three-year extended fund facility for Angola worth USD$3.7 billion. Ending corruption, including bribery and money-laundering was another condition. Angola is in ‘desperate’ need of cash, and therefore Lourenço is pursuing an ambitious investment program to develop the country’s agricultural, tourism, and mining assets. For instance, the government is planning to invest $230 million across the country over the next six years to support its Proyecto de Desarrollo de Agricultura Comercial, a development initiative launched last December which aims to commercialize the agricultural sector. Oil majors, such as BP, Total and ExxonMobil have also signed MOUs with the state-owned oil company, Sonangol, to develop new ultra-deep offshore oil operations. The amount of the investments has not yet been made public. A lot of the money for the new investments appears guaranteed by the government. Against the backdrop of a poor economic outlook, coupled with crude oil prices below the levels the government had counted on – although Brent crude prices rebounded early this year off the back of a production cut agreed by OPEC member states – Angola will have to resort to more borrowing. Debt-to-GDP remained at a risky 90 percent at the end of 2018, meaning that more commercial loans will be needed to finance the ambitious investment program and will continue to damage economic growth, not least because China is Angola’s largest purchaser of oil. Meanwhile, Angola already owes Beijing a lot of money. Official figures put this at $23 billion last year, but due to the lack of reliable data this number could be much higher. Furthermore, as a lot of that debt with China has been guaranteed through oil-swap deals, increased volatility in crude oil prices is likely to again create more financial headaches for the government. Foreign investors are also likely to be concerned, as a growing debt burden will hinder the government’s ability to honor its debt repayments and ability to unlock financial resources. Lourenço also pledged to stamp out corruption, which he has described as a “scourge on society.” International observers were positively surprised when he sacked the children of ex-president dos Santos from key positions within Sonangol and Angola’s sovereign-wealth fund, FSDEA. José Filomeno, a son of the former president and former head of FSDEA, and his business ally, dual Swiss-Angolan national Jean-Claude Bastos de Morais, were arrested in Angola in September 2018 on charges they had conspired to defraud the state in multiple jurisdictions, including in Switzerland and the United Kingdom. Both have denied wrongdoing. Authorities in Mauritius, Switzerland and the U.K. froze their assets, while investigations were ongoing. However, London’s Commercial Court, which is part of its High Court, lifted the freezing order due to what it said were serious procedural failings in the original complaint. Notwithstanding, and based on a recognition that corruption was conducted with impunity under the previous administration, Lourenço’s government in May last year adopted an amnesty bill for the voluntary repatriation of stolen state funds that had been moved offshore. The true extent of Angola’s corruption problem is unclear, but authorities both in Angola and the U.S. have indicated that close to $30 billion in illicitly obtained money from the state is being held in offshore accounts. But the amnesty bill, which expired in December, appears to have attracted little interest according to legal practitioners on the ground, and few actually repatriated any money. The government has promised to now coercively go after those who have stolen public funds and hidden it abroad. Angola’s ability to do this remains in doubt. Repatriation of financial assets will also depend on the willingness of banks abroad to transfer back the money. Tightening anti-money-laundering legislation across the world, will make commercial banks – especially those in OECD countries – more averse to high-risk jurisdictions like Angola, diminishing the effectiveness of the law. Since ‘de-risking’ of Angola’s banking sector took place after the collapse of Portugal’s Banco Espirito Santo, in part due to toxic credit at its Angolan subsidiary, hardly any Western banks have resumed correspondent banking relationships for transacting in U.S. dollars, which explains a lot of Angola’s current problems. But because oil-dependent Angola’s financial sector is highly dollarized, such correspondent banking is also key to repatriate the stolen funds, placing doubt about the likely success of Lourenço’s policies. Restoring trust depends on the government’s ability to reform the financial sector, which remains concentrated around a few politically exposed persons among Angolan banks’ shareholders; of the 27 commercial banks registered with Banco Nacional de Angola – the central bank and sector regulator – five control over 80 percent of total banking assets, deposits and loans. In addition, the banking sector is highly centralized with the vast majority of Angolans and small- and medium-sized enterprises unable to access formal credit. Instead, the bulk of credit given by Angolan banks goes to a few hundred chosen investors. Given that diversification is a priority of the Lourenço presidency, his ability to also restructure the financial sector will be critical. The government’s new policies have indeed caught many media headlines, but Lourenço’s own behavior during his first year in office contradicts his narrative. It started with lavish spending during a state visit to Europe, where the Angolan delegation signed several agricultural development projects with French financiers, among others. According to reports on the Maka Angola news website, the Angolan delegation went on a spending spree, chartering at least three aircraft, including a Boeing 787 VIP private airliner, a Boeing 737 and a Gulfstream business jet. According to the leasing company, the Boeing 787 cost $74,000 an hour to charter. It goes without saying that this sort of spending does not align with Lourenço’s promises, or his narrative of being a modest person. Others have pointed to the Lourenço family’s real estate property in the U.S., worth $1.7 million when purchased in 2013. While it is not illegal for Angolans to own property abroad as a primary residence, such revelations will probably fuel suspicions about the president’s true intentions. More questions emerge over Lourenço’s positioning vis-à-vis the former vice president, Manuel Vicente, who Portuguese prosecutors in 2017 charged with bribing that country’s attorney general in 2011. Lourenço refused to recognize the Portuguese authorities’ competency to try Vicente and lambasted the charges as ‘interference’ by the former colonial power. It was agreed that Vicente would be tried in Angola instead. This never occurred. Although Vicente has been sidelined from the MPLA leadership, he remains an influential businessman in both Angola and abroad. Another worrying trend is potential nepotism and conflicts of interest, including within the military. In April 2018, the president promoted his brother, General Sequeira João Lourenço, as deputy head of the President’s Intelligence Bureau, which oversees the military, the police and the intelligence services. Two months prior he allegedly sold a state-owned aircraft to his brother’s aviation company, SJL Aeronáutica, without a public tender and at an undisclosed price. It does not end there. His plans to expand the military budget should sound some alarm bells. While already having among the largest military budgets on the continent, Lourenço is intent on expanding it further. One excuse is to fight piracy, as Angola is looking to expand its offshore oil production operations and modernizing its naval capabilities would ensure security of such operations against such threats; this is despite Angola suffering hardly any such attacks in its waters over the past few years. Although official figures indicate that Angola’s military budget was cut in half between 2014 and 2017, well-respected think tank Sipri has noted that estimates of real military spending are hard to come by across sub-Saharan Africa. Middle East-based Privinvest Group announced on its website in 2016 that it would provide naval vessels to the Angolan navy, and construct a ship-building facility together with a London-based partner. Around that same time it was revealed that Privinvest had signed contracts to supply ships to Mozambique which were never delivered. The deal, along with two others left Mozambique with a massive $2.1 billion bill, more than its total national debt at the time. In December, South African police arrested Manuel Chang, Mozambique’s finance minister when the deals with Privinvest were signed, on suspicion of fraud relating to the deal. This followed an indictment by the U.S. district court of New York City, which led to the arrest of Jean Boustani, an executive of Privinvest. Three former bankers of Swiss bank Credit Suisse, and a dozen more have also been indicted for their role in the scheme. While Privinvest was not the only company involved with inflating Mozambique’s debt to astronomical levels, the company has faced resistance in other jurisdictions, such as Nigeria; Paris-based The Africa Report revealed in June 2018 that the Nigerian finance minister in 2014 had refused to accept a $2 billion investment proposal from Privinvest after it appeared clear that Nigeria would have to provide most of the guarantees for the loans that would finance the joint venture; Privinvest had reportedly proposed to take control over a derelict shipyard from the Nigerian navy and refurbish it. That Angola has signed a deal with Privinest under Lourenço’s watch – granted he was defense minister at the time – may therefore also concern investors. If Lourenço is serious about eradicating corruption, he should be careful who he deals with and how this may look to the outside. So far, his defense scorecard, his lavish spending, support for Vicente and family appointments can only undermine his credibility. That the highest ranks of the MPLA and the broader governing elite in Angola remain intact, bar a few cosmetic changes to the Political Bureau – the apex governing body of the MPLA – is also worrying. Adopting policies that, indeed, are likely conditions imposed by international financiers such as the IMF but that in reality are unlikely to produce any change in behavior not only puts his own track-record at risk but also the reputation of the entire country. The lack of criminal convictions of former senior officials casts suspicion on any real change. Either the authorities are deliberately delaying the processes to get some initial goodwill from foreign investors, or the system is so slow that no conviction will serve to deter future corrupt behavior. The end result is that foreign investors and financiers engaging in Angola are setting themselves up to considerable compliance and legal risks. Giving the ‘new’ president the benefit of the doubt may have been valid in his first year, but the lack of progress should prompt them to adopt a more cautious approach. Just as Napoleon in George Orwell’s Animal Farm promised a whole new way of governing, once in power he quickly adopted the same habits as his former steward.